First, a dirty little secret about product reviews: You’d love to integrate every product into your daily use, but it just isn’t possible. Especially when you’re dealing with the volumes we deal with here. Every so often, however, the stars align. You find yourself days from a two-week trip through Asia, when Google overnights you the Pixel Slate. That, ultimately, is the best way to put a product through its paces, finding yourself a stranger in a strange land, forced to grapple with an unfamiliar product. Google’s new convertible hitched a ride through two countries and an autonomous territory, from the neon-lit, Mario Kart racing streets of Akihabara to the gadget markets of Shenzhen to the densely packed hostels of Hong Kong’s Chunking Mansions, where the showers are the toilets and the landlord bangs on your door after midnight, demanding payment. It’s not the sort of experiment for which I would have volunteered to play guinea pig a few short years back. Google’s operating systems are often slow out of the gate, and Chrome OS is certainly no exception. The earliest Chromebooks were, at best, novelties, underpowered machines with little to differentiate themselves from the previous generation’s netbooks. Aside, of course, from an operating system that barely functioned offline. But even while the mere existence of the category was (rightfully) questioned by pundits, Google kept plugging away. The company continued adding features to Chrome, turning the browser-based OS into something approaching a full desktop operating system. 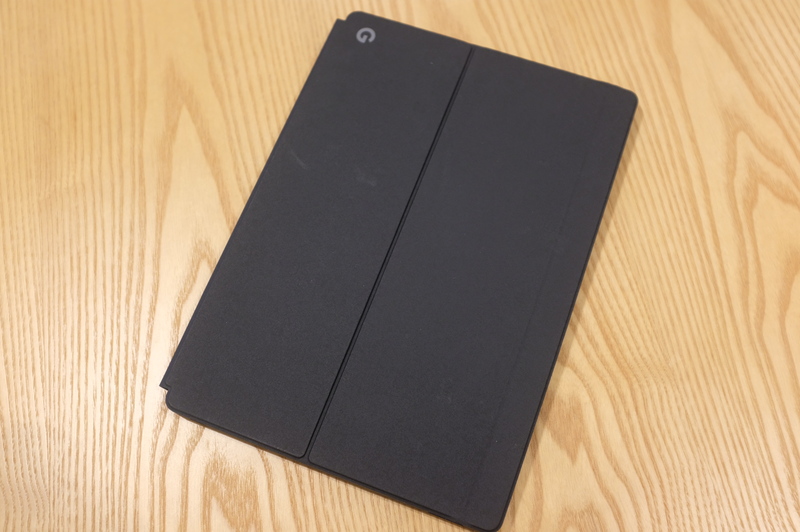 In 2013, the company unveiled the Chromebook Pixel, a premium notebook designed to show what Google, “could do if we really wanted to design the best computer possible at the best price possible,” according to then-SVP Sundar Pichai. Even while the Chromebook came to dominate the classroom in subsequent years, Google still had something to prove. The company was never content to have its operating system relegated to the bargain bins. All of that came to a head with last year’s Pixelbook. 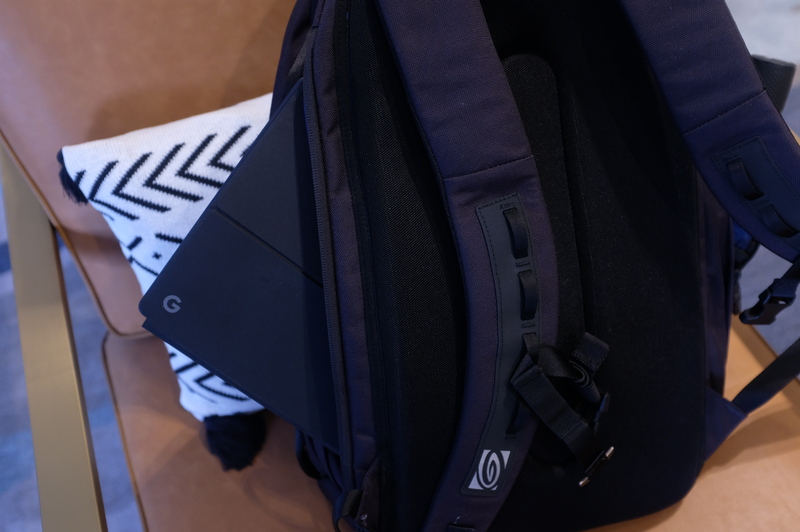 The apex of Chrome features and proprietary design, the device pushed the boundaries of what a Chromebook can do. 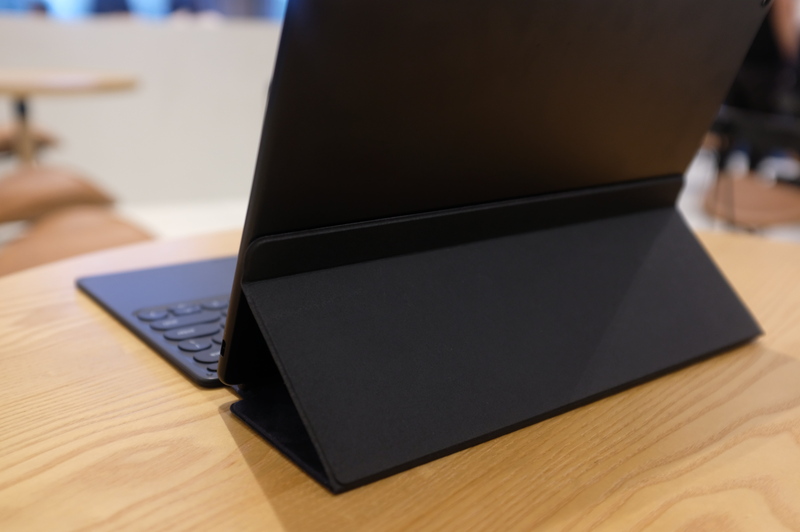 Back in March, however, the company partnered with Acer to launch an education-focused Chrome tablet, just ahead of Apple’s big education event. 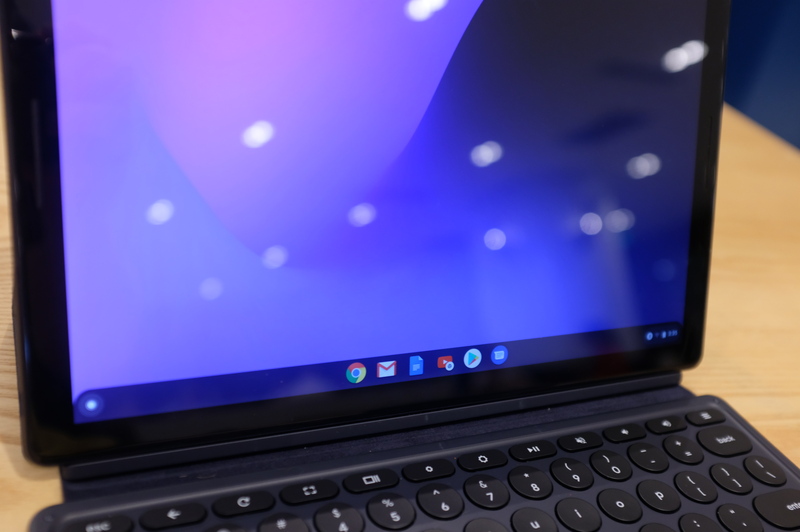 And then, last month, it launched the Pixel Slate. More than anything, the Slate feels like a sister device to the Pixelbook. In fact, from a pure spec standpoint, you’d be pretty hard pressed to distinguish the devices. The lack of distinction between the products really stood out during my time with the device. Detachables are great from the standpoint of versatility, but how often do you really end up taking advantage of the feature? After nearly two weeks spent traveling with the Slate, I can’t think of a single occasion that warranted removing it from the keyboard dock. Hell, the dock’s even better for watching videos — I’d much rather use a built-in stand than be forced to hold it for the duration of a film. It’s just a fact of life that you’re going to sacrifice some features when opting for a convertible instead of a devoted laptop. The gulf between the two does seem to get smaller with each passing generation, but it continues to be the case with the Slate. The Pixelbook is simply the better typing experience of the two devices. That said, the Slate is easily one of the best typing experiences I’ve had on a keyboard case. As someone whose job is like 90 percent typing, keyboards have long been the largest thing keeping me from seriously considering a hybrid tablet as a daily driver. The Slate case’s round keys are perfectly responsive, and it didn’t take me too long to get into the rhythm. Halfway into my first story, I could fully imagine myself doing all of my filing on the Slate. Chrome OS has also improved by leaps and bounds in the last few years. Way back in 2016, Google announced a clever fix to Google’s app problem. The company would bring the Play Store to the operating system. At the time, the company told TechCrunch it was a “powerful way of bringing those two worlds together.” More than anything, however, it’s a clever workaround. I’d run into a lot of this the last time I went to China with the Pixelbook in tow. I’d had some grand ambition to edit my podcast on the 14-hour plane ride, but ultimately gave up looking for a decent Audacity replacement after downloading and installing a half dozen or so different apps. These issues are understandable for a new operating system, but Chrome OS has been kicking for around seven years now. It can still feel like a frustrating mix of fully fledged operating system and undercooked user experience. 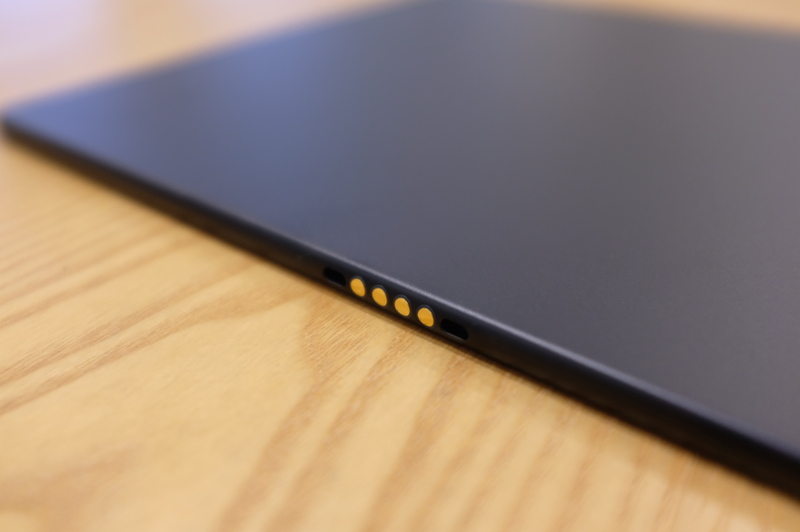 Like the iPad Pro, the Pixel Slate’s software shortcomings can be particularly frustrating when coupled with premium hardware. I could still do most of what I needed on the Slate, but the inability to fully connect some of the dots left me wondering why I wouldn’t just opt for a full laptop, nine times out of 10. Price is one factor, certainly. The Slate starts at $599, which puts the 12.3-inch device well below the 11-inch iPad’s $799 entry (though the latter, admittedly, comes with 64GB of storage to the former’s 32GB). That price includes a stunning 3000 x 2000 pixel display, besting the Pixelbook’s 2400 x 1600. Customization is really the name of the game here. The Slate has more configurations than the Pixelbook, letting you max out the specs at $1,599 for a model with 16GB of RAM, 256GB of storage (half the Pixelbook’s max) and a Core i7 processor. 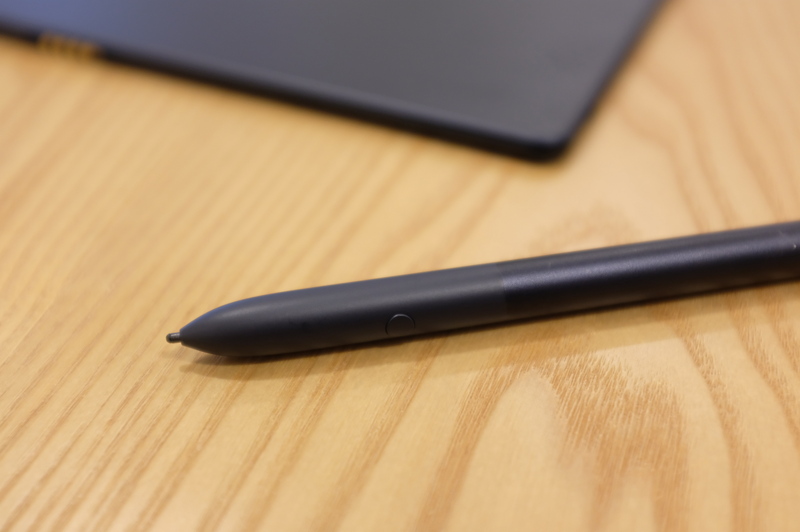 Of course, if you want the keyboard and pen, that’s going to cost you too — $199 and $99, respectively. 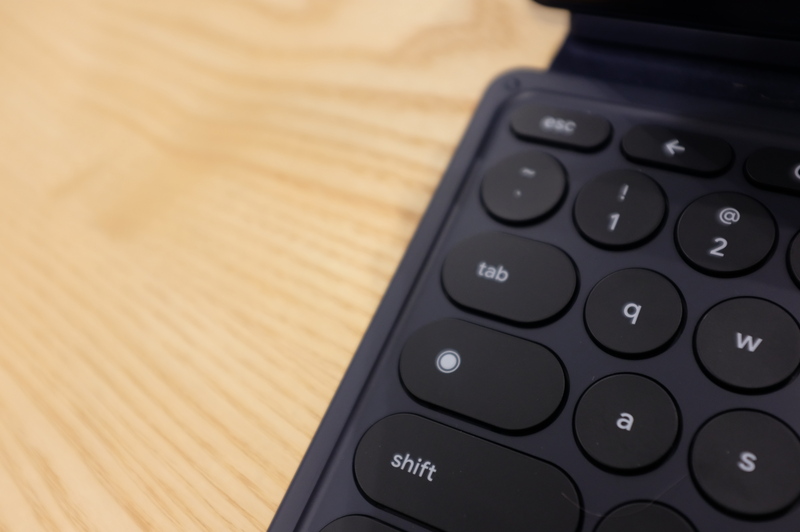 The keyboard, it should be noted, brings the device’s total weight up to 2.7 pounds — more than both the Pixelbook (2.6 pounds) and 12-inch MacBook (2.03 pounds). The keyboard is really a must have, snapping the OS into Desktop UI mode as soon as it’s docked. Of course, you also can still swipe up from the bottom to bring up the app tray. As someone who continues to use a Mac as my daily driver, it boggles the mind that Apple hasn’t brought full touchscreen functionality to the desktop. 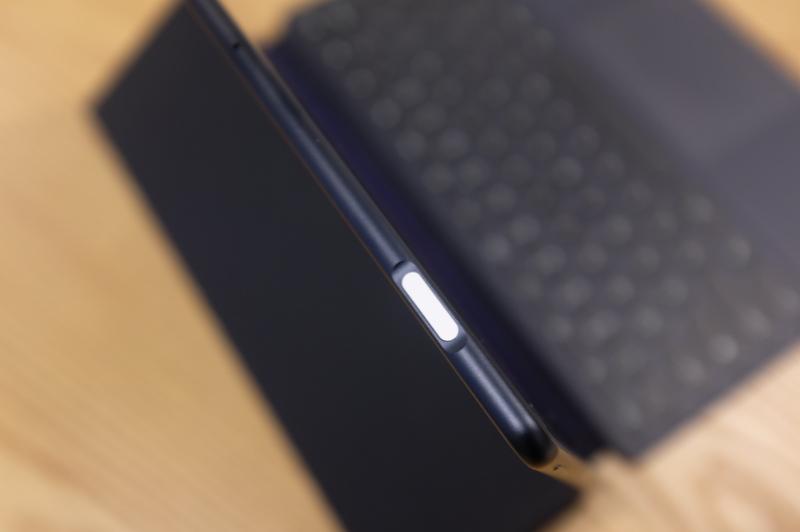 The touch bar is really no replacement for the feature, and having used the Pixel Slate for a few days now, I still find myself reaching out to touch the screen. “Some day,” I whisper softly to myself, before returning to the task at hand. Other small touches like Split Screen and tabs that can be dragged into their own windows are nice touches, as well, which lend the device a bit more credence as a work machine. The pen is a nice add-on, as well, though I found a lot fewer uses for it during my day to day. Ultimately, I would probably opt out of that additional $99 — especially with no easy way to store it à la the iPad Pro. Rather than a rechargeable battery, it takes the fairly uncommon AAAA — a shorter, thinner take on the AAA. They’re around if you look — I was actually a bit surprised to see them stocked at my local Walgreen’s. The Pixel Imprint combo power button/fingerprint reader is a nice touch. The loss of the headphone jack, meanwhile, is a bit of a blow. I found myself all dongled up when using my headphones. It’s just an inevitability in 2018, I suppose. I also appreciate the fact that Google’s gone with one USB-C slot on either side, rather than sticking them both on the same edge like the MacBook Air. That gives you a little more wiggle room on the accessories front. I don’t regret packing the Pixel Slate. I’ve had far worse travel companions, both human and gadget. Like the Pixelbook, the tablet is intended to be a showcase for what Chrome can do on a solid piece of hardware. And once again, it’s a case of the hardware outshining the software, even as it muddies the waters around Google’s Chromebook strategy. As an operating system, Chrome has made leaps and bounds in recent years, and it’s no wonder that it’s become a mainstay in classrooms. When it comes to being a serious desktop operating system for business, however, there’s still some work to be done.